Heavy rains accompanied by gusty winds caused damage to property in Blantyre on Monday as trees came down on houses and electricity lines, affecting normal life. The heavy winds damaged houses in Machinjiri, Ndirande, Bangwe and other areas. This will likely lead to persistent blackout as major power lines have been brought down and disrupted in several parts of the city. Trees and branches came down on electricity wires plunging several houses into more darkness. In some areas Malawi24 visited, a storm has badly affected houses, as some of them have had iron sheets and tiles blown off. In Makheta area, a government clinic hospital has had its roof blown off. This has damaged drugs and other medical equipment worth thousands of Malawi Kwacha. According to residents in visited areas, no life had been lost and no casualties were being reported. “Only property have been damaged and the fear is electricity power lines that have fallen over houses.This means another months of blackout. Our prayer is that it shouldn’t be like last year,” stated Mama Phiri. 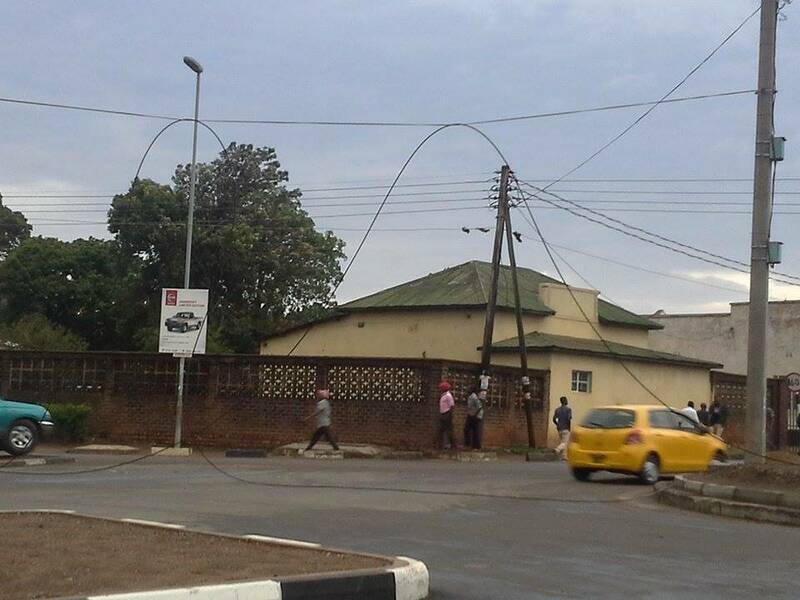 Meanwhile Electricity Supply cooperation of Malawi (Escom) is yet to start restoring power supply lines. Thank you Chance Garvin Nyandeni Jere and Samuel Labison for your likeness on my comment. True George Not That We Dont Have Car,but Rain Is More Important Than A Car.We Need Water 2 Survive. We Have Taken Part To The Climate Change,let Us Accept.Solution To This Problem Is To Beg Our God To Forgive Us For We Have Destroyed His Creature eg Trees etc Which Has Brought More Harm Than Good.And Lets Pray For The Good Rains.Our God Is A Listening God. Kkkkkkkkk, koma Malawi umbuliii????? Nanga ku South Africa kuno poti mphepo ndi mvula zaononganso nyumba ndi galimoto, a kulamula ndi Mutharika? Lets pray: Almighty God in heaven i knw 4 sure u want 2 punish cashgate pple & those who hd stolen leadershp fro an innocent soul,its my plea target only those LORD leave my fellow Malawians who we r lvng by ur Grace nt by The Gvmnt Will,even cardic arrest may also help us to cross this darkness valley.i believe in u on bhaf of my fellow poor pple we r being called dirty.all in ur son Christ AMEN!!!! Thank you almity God that you don’t keep malawi dry,but you always pour water for your people to drink.If the car is been damaged its fine, is gonna be fixed than to stay without rain.May the Lord forgive those who are blaming the rain. kwa munthu amene sakudziwako ku maula prison (Lilongwe) kod adzakwere za area chani kut akapange nawo ma interview pa 23 november 2015 pano? mumuuze bwana wa facebook nafe atipangileko ka profile paint kathu kathu…tiponye!…nanga awa simavutonso kod? Quoted: “government clinic hospital…”..Malawi24, how many times hv I been warning u on nuisance usage of morpho-semantic rules?…hahahaha..kodi education ya anthu anu ndiyotani?